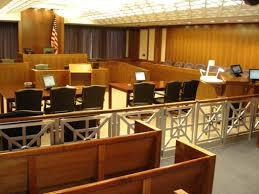 I have been a defendant in only one court case. Sadly, that case contributed to my loss of interest in teaching college and is directly related to today’s topic. I’ll tell you that story later. When our founding leaders formed the United States, they wrestled with this paradox – How to protect individual rights and protect individuals from themselves. Well-educated in the history of mankind, these founders knew that humans are naturally social beings and very susceptible to going along with the crowd. They worried how misguided crowds could destroy the great country they envisioned. One social trend that really concerns me is the growing disregard among people of all educational backgrounds for people with real expertise. I see well-educated people all around me readily dismiss valid research from experts they believe reside in a different political house. And I have seen personally how colleges have watered down the curriculum and enabled children coming into universities to “feel” they know as much or more than their professors and instructors. The Death of Expertise. 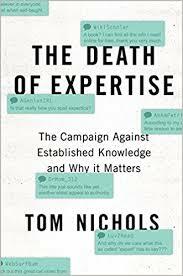 Lucky for me our daughter’s good friend, Emily, who does some work in the publishing field, recently gave me Tom Nichols’ book The Death of Expertise. Let me admit right now that this Nichols’ book confirms my own bias that I described in my last paragraph. However, if this important topic intrigues you as much as me, I strongly recommend this book. While Nichols’ includes hundreds of well documented and researched examples of what he means by the death of expertise, I’d like to share a few that I found interesting and ones that impact how leaders lead their teams. Cliff Clavin and the Dunning-Kruger Effect. 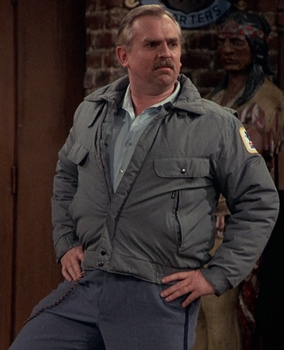 Do you remember Cliff Clavin? Cliff was the know-it-all character on Cheers who knew everything about everything. His facts were made-up and viewers quickly knew when he delivered his signature line “studies have shown” that Cliff was just dumb and uninformed. People Believe Celebrities over Experts. Nichols describes several examples where people believe the opinions of celebrities over experts. While some examples are harmless, others like believing Jenny McCarthy and Jim Carrey when they say vaccines are bad for your children or Gwyneth Paltrow and her odd women’s health tips, are disturbing. A worrisome trend Nichols’ points out regarding the anti-vaccine resistance movement is that support is largely coming from educated suburbanites – people who should know they need to search for and read multiple research sources before making-up their minds. Confirmation Bias and the Internet. All of us experience confirmation bias, which is when we look around for information that confirms what we believe or feel. Nichols reminds us that this is a survival instinct. For example, if my wife, Patti, sees our bird feeder is laying on the ground, she looks around to confirm there are no bears nearby. However, when it comes to our beliefs and opinions, we tend to look for information that confirms these positions. The internet and social media, especially, has made this quick and easy to do. And when we find something that confirms our belief, we latch onto it. And even if the source is invalid, it deepens our belief. Nichols points-out that before the internet people had to work hard to find information – good or bad. And the probability was much higher that they would find good information, if they looked at all. However, now that we have the internet, and referring to the amusing Sturgeon’s Law (90 percent of everything is crap), Nichols’ points out that when you search over a billion websites for information most of what you find is wrong. 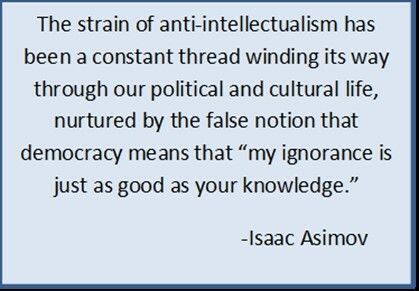 This is especially true for those people who do not know a valid from an invalid or opinion-based source. To make matters worse, most people (not you, thank you) only read the first few lines or paragraphs of an article. If that’s not enough, 95 percent of us never go past the first page of Google search results – and we all know those search results have nothing to do with whether the listed articles are valid or not. News Sources and Confirmation Bias. Nichols reminds us that in 1960 the average home received three television networks, as many as eight radio stations, one newspaper, and three or four magazines. By 2014 we had 189 television stations and most consumers clicked between about 17 of those channels. Today there are many news stations and most consumers watch only one or two of these channels and choose ones that most closely confirm their core beliefs. Colleges have virtually eliminated the need for students to learn how to think critically in real life. Nichols defines critical thinking as “the ability to examine new information and competing ideas dispassionately, logically, and without emotional or personal preconceptions.” The number of courses where students present their thoughts/papers, answer questions, and adjust their thinking have declined greatly. Also, with more and more courses taught on-line, students don’t learn how to have face-to-face interaction and experience the natural conflict this brings. The result of this for employers is that we are seeing far less critical thinking skills coming into the workplace. Because of on-line courses and e-mail systems, most college communication systems have reduced the roles of instructors to someone a student might meet on a help line. And because students are used to calling adults by first names, their perception of the instructor is more like a peer-to-peer relationship. Not one where the student respects the instructor for an acquired level of expertise. The result is that students are not learning how to seek out and engage experts to explore new ways of thinking and solving problems. Everyone is their knowledge equal. Almost all colleges now rely on student feedback to evaluate instructors/professors. And outside feedback systems, like Yelp, also allow students to get insight into an instructor or professor. Unfortunately, some of this feedback from people who are really children can be very petty. The result is that many instructors/professors are now softening course requirements and rarely give honest personal feedback to the students. Thus, many students are not ready for receiving real feedback when they get into their first careers. Many students come to college without experiencing strong personal feedback or receiving grades that reflect an accurate level of knowledge or understanding. As Nichols’ writes, “Incidents where students take correction as an insult are occurring more frequently. Unearned praise and hollow successes build a fragile arrogance in students that can lead them to lash out at the first teacher or employer who dispels that illusion, a habit that proves hard to break in adulthood.” Many employers are experiencing this in the workplace today – straight feedback can cause younger employees to quit and search for an employer who thinks they are awesome. Nichols’ Suggestions for Us. At two spots in his book Nichols pauses and gives the reader several suggestions for things we can each do to be well informed about issues we care about and supporters of people with expertise. Be humble. If an article is from a valid expert, begin your reading assuming she or he knows more than you do. Be ecumenical and vary your news diet. If interested in national politics, read one or more foreign papers to see what others think. Follow two major newspapers. Watch two different news networks. Subscribe or read one on-line journal with which you often disagree. Be less cynical – or don’t be so cynical. Most people are not deliberately lying to you, they just may have a different perspective. Yes, they will sometimes get some facts wrong, but that doesn’t make them liars. Be more discriminating. If a story doesn’t seem right to you – ask who are the writers? Do they have editors? Is this a research-based article or an opinion piece? Then look for another reliable source to verify the story and make sure you ask the same questions about that website story. My Court Case. About seven years ago an undergraduate student sued me and Southern New Hampshire University (SNHU) because she earned a failing grade in my Strategic Management course. At that time this course was considered a “capstone” business course and most students saved it to the very end of their undergraduate experience. The course required critical thinking, analysis, and extensive written case reports. It was taught as an “hybrid” course – half in a classroom, half on-line. 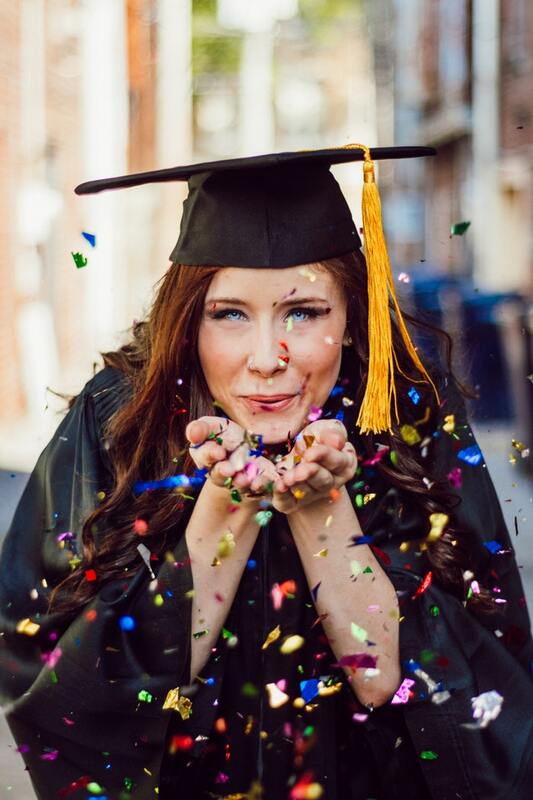 When students finished the class I could see the joy in their faces and each had a grand sense of accomplishment – they knew they had learned something and applied it. One particular student did not turn-in any of the written assignments and never did any portion of the final industry study. Her final score was about 40 out of 100. I personally offered lots of support and she never followed-through. She failed. She was the only student who failed my class in over 15 years. However, she then enrolled in SNHU’s on-line Strategic Management course, which was significantly watered down. It was no longer a complex capstone course and, quite frankly, after I later reviewed the syllabus, any reasonably smart high school senior could pass it. She earned an A in the course and she was outraged – outraged at me and SNHU for making her waste her time and money taking the “old” version of the course. When the case finally got to court something funny/sad happened that shows that just because you can do a Google search doesn’t mean you are smart. Among the student’s claims was that I was not competent to teach the course because I failed her, and the other instructor passed her. Her grade was my fault. The judge, who was a woman, discovered through her questions that the other instructor was teaching the on-line course for the first time, was usually a marketing instructor, and was just using the pre-designed materials developed by the emerging distance education team at SNHU. The judge through her questions confirmed I had been teaching the course for 15 years and had over 20 years of industry experience. She even verbally dismissed the student’s notion that I was not competent to teach the course. As we all left the courtroom that day I remember feeling sad. While I didn’t know it then, I guess I knew deep inside that respect for expertise was dying. And, perhaps, Nichols is right, expertise is dead.